Large sized, almost black leaves, with blueish wax. 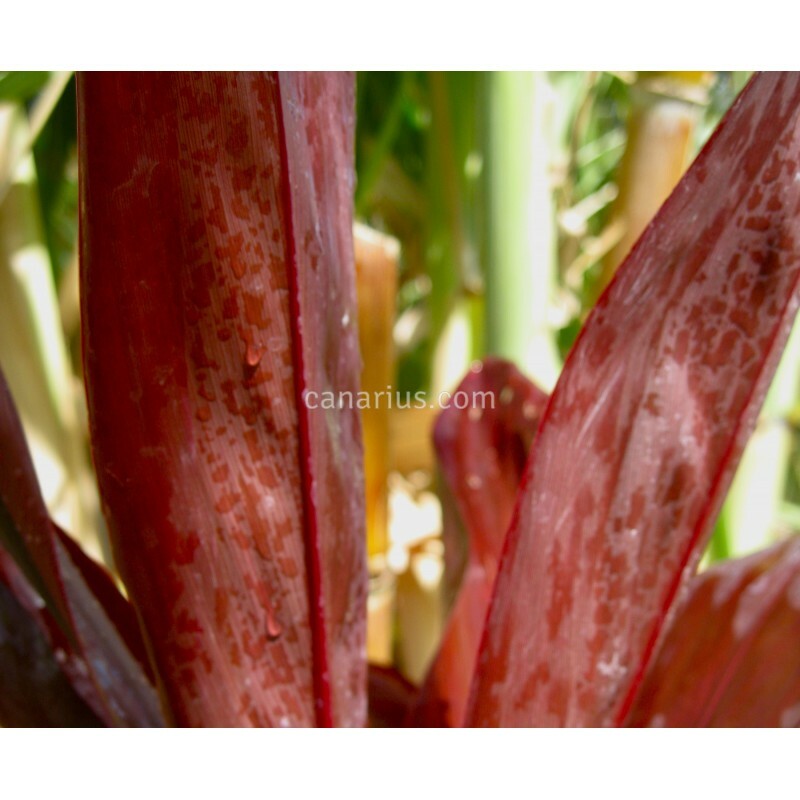 The whole plant is very erect and robust, up to 4,5 m tall. 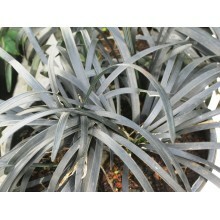 "Lyon' s Black" is one of the boldest cultivars. It was selected at Lyon Arboretum, in Honolulu, Hawaii. 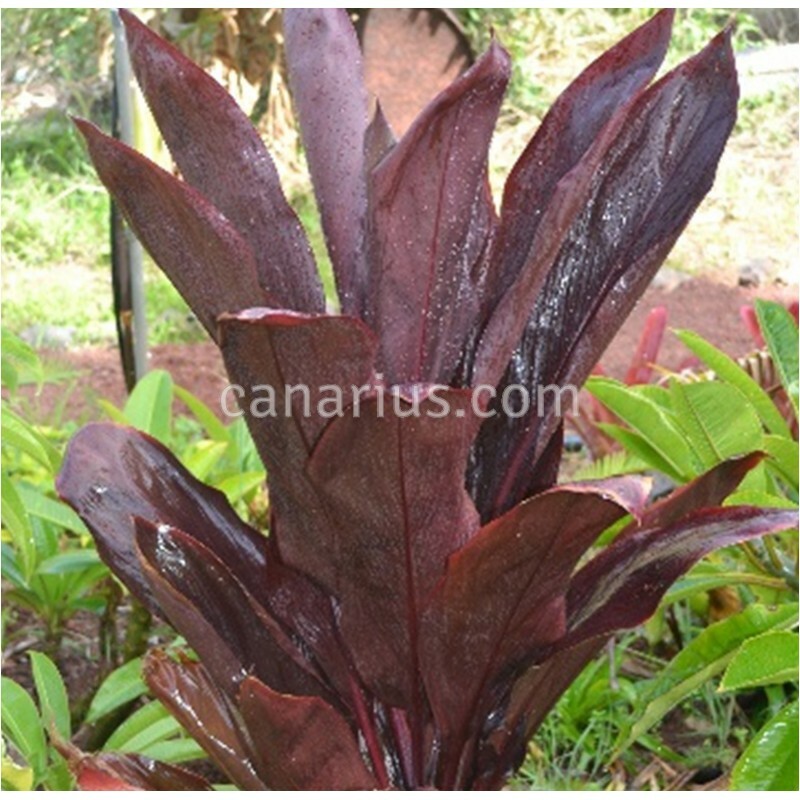 This hawaiian selection of Cordyline fruticosa is named 'Lyon's Black'. It has large sized, almost black leaves, with blueish wax. 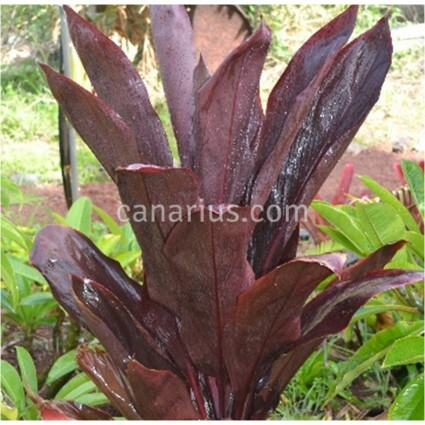 The whole plant is very erect and robust, up to 4,5 m tall. "Lyon' s Black" is one of the boldest cultivars. 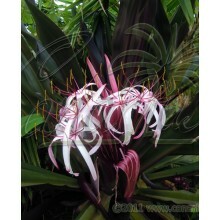 It was selected at Lyon Arboretum, in Honolulu, Hawaii. 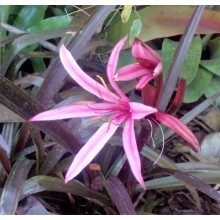 Our Hawaiian selections will also be perfect in the tropical or subtropical garden. They can take cool temperatures but will be damaged or killed by frost. 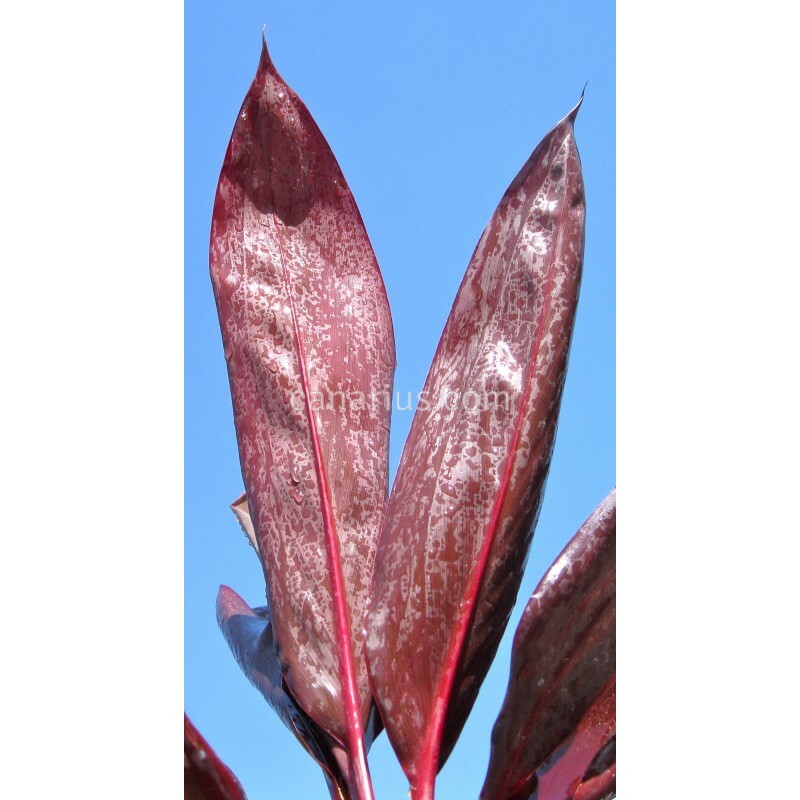 These "outdoor cultivars" bear leathery leaves and grow thick tuberous roots underground.